Women Empowered. Boost your confidence and redefine yourself! As a martial art designed to allow the weaker to defeat the stronger, BJJ is a perfect fit for women who are interested in learning how to protect themselves – and who wouldn’t be, right? The Gracie Barra Program combines a comprehensive self-defense curriculum with emphasis on drills that simulate realistic attack and escape situations. Although martial arts can be intimidating for women, our classes are definitely not intimidating. You’ll notice a very positive and friendly environment when you enter our school. Once you master the basics you will really enjoy the intensity of a class based on effective self-defence techniques and real life scenarios. 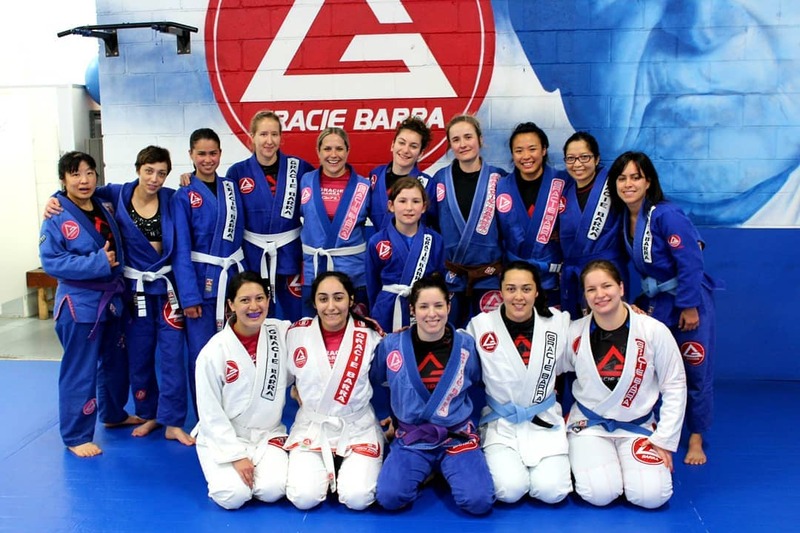 Gracie Barra has developed the Women's Only Class to help introduce women to the art of Jiu-Jitsu. Join our community to learn the most effective self-defence techniques and improve your fitness routine in a safe and challenging environment. Our women’s martial arts program is designed to teach women how to defend against any attacker – even those who are significantly larger in size. Our instructors will help you run drills to simulate realistic attack and escape situations you might encounter in the real world. With practice, you can leverage an attacker’s weight against them, allowing you to escape and get to safety unharmed. The self-defence techniques taught in this class use Jiu-Jitsu fundamentals that complement our selection of additional adult classes. In addition to effective self-defence techniques, our women’s program is a great solution for anyone who wants to take their fitness routine to the next level. Gracie Barra’s Jiu-Jitsu techniques and versatile class schedules are a great way to keep your fitness routine from plateauing. Enjoy aerobic exercise and strength training that will help you achieve your fitness goals faster and more efficiently than classes offered in regular gyms.